CardFlip.com Review: Legit or Scam? 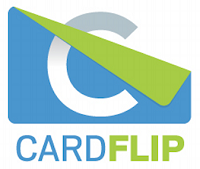 If you’re looking for another gift card purchasing site, check out CardFlip.com. CardFlip allows you to purchase gift cards from a wide variety of companies spanning from Ace Hardware to Victoria’s Secret. They also sell their cards with free shipping and no expiration dates. CardFlip guarantees that your gift cards will arrive as promised. 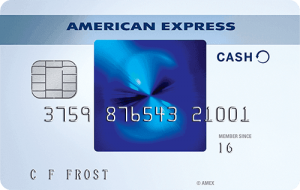 If you encounter any issues you can return cards for a full refund within 45 days of purchase. 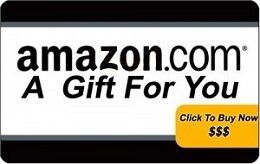 Unfortunately, there doesn’t seem to be any option to sell gift cards on this site. CardFlip.com is open Monday-Saturday 9 AM to 6 PM (PST) and Sunday 12 PM to 4 PM (PST). All purchases made during their business hours are processed within 2 hours. If an order is place after business hours it is processed the next day. E-cards are sent via email and physical cards are sent by USPS with tracking. All first time buyers will be required to send Cardflip verification of billing address. This will be in the form of ID with matching billing address or a utility bill with matching name and billing address. Shipping: Unknown, but orders made during business hours are processed within 2 hours. 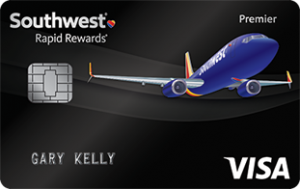 Return Policy: If you encounter any issues you can return cards for a full refund within 45 days of purchase. Check out their selection of cards. You can sort them by alphabetical order, popularity, newness, price, or percentage discount amount. If you see something you want, simply click “Add to Cart” next to each item you wish to purchase. When you’re done shopping, simply hover your cursor over the shopping cart icon and click it to see your chosen items. On the checkout page, you’ll be prompted to either log in or create an account with your billing address information. Finally, verify that your order is correct, confirm your billing and shipping information and you will be prompted to complete your payment. 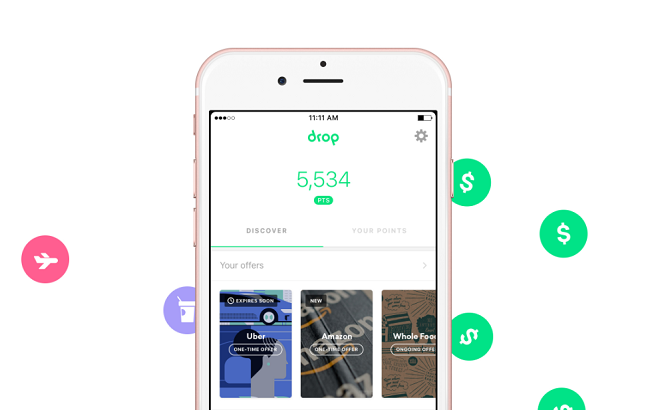 CardFlip.com is a good option for anyone looking to buy discounted gift cards. 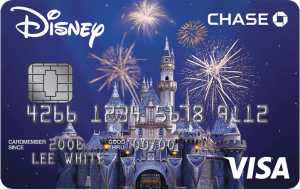 In addition to the variety of gift cards for sale from retailers like Disney Store and Kohl’s, the site offers a full refund within 45 days of purchase for any customers that encounter issues. 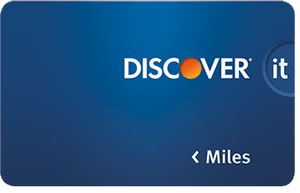 Sign up today and check out other Gift Card Deals from our massive list! Don’t buy from cardflip.com they are a bunch of scam artist. I have sold them gift cards and they have delayed payments for weeks and the cards all have zero balances on them now. The same thing just happened to me. They cleared my $1400 gift card and have been giving me the run around for over a month. I’m looking into legal action now. The same thing is happening to me. I sold a gift card on 9/1/18 and have still not received payment, 4 weeks later. Every time I contact them they say that they are looking into it. Interested in taking legal action. The same thing just happened to me (Feb. 3, 2019). Don’t do business with Cardflip–it is all a scam. They didn’t pay me and now I can’t reach them. This has been a nightmare. I will never buy a discounted gift card again from an independent seller on a 3rd party website, and CERTAINLY not CardFlip. On February 14th, I purchased a $200 New York & Company gift card for $160. I planned to wait until the end of the month to use the gift card during NY&Co’s City Cash event. I checked the balance of the gift card at the time of purchase and confirmed that it had a $200 balance. 6 days later, I went to confirm the balance again and the gift card now has a zero balance. I never used the card. After waiting for 30-45 minutes at a time to speak with someone in customer service at CardFlip. I’ve been given the runaround over and over. The last person I spoke with at CardFlip, Buddy, I believe, supposedly called NY&Co and confirmed that the gift card had been used on MY account for an order sent to MY address. I knew this to be untrue, so I called NY&Co myself and confirmed that the gift card in question had NOT been used on my account. Additionally, I was told that NY&Co would not have been able to provide any information to CardFlip about the gift card due to privacy issues. So CardFlip customer service simply lied to me. I have now been on hold for 45 minutes, trying to get back in touch with an agent at CardFlip. This whole thing is a nightmare. I have lost $160 and no one at CardFlip seems to care or want to do anything about it. I’ve spoken with Sabrina a few times, but have not heard back from her yet. I am absolutely LIVID over this whole situation. I spent $160 on a gift card that I planned to use. It is NOT my fault that the seller (apparently) decided to use the balance after selling the card. CardFlip is acting as though I am lying or covering something up. I am being more than transparent, and have offered to send them any information I can possibly provide to prove that I am NOT the one who used the card. I am so incredibly angry right now, I am literally shaking. CardFlip.com is a scam!!! They stole $1400 from me. Please do not use this company. I have used A DIFFERENT gift card selling service in the past for smaller amounts with no problem. So I felt safe using this similar service. 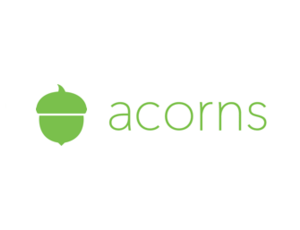 I found this company through giftcardgranny.com. They offered the highest payout so I chose them. They cleared my $1400 gift card, they have been giving me the run-around about my payout for over a mont. They even went so far as to say they would direct deposit. I am now looking into legal action . They clearly have no intentions to pay. cardflip are a bunch of crooks! I’ve had the same issue with this compay. Sold gift cards and getting the run around with their customer support. Received three different reasons why I haven’t received payment. The first was because I was a new customer, second they were verifying my bank info and didn’t hear back from my bank and the third was my gift cards need to sell first before I receive payment. The best was an email I received that asked me to call them ASAP, but wait 10 mins before I call. Who even sends that to customers. I posted the email below . I purchased a $30 gift card from them in July. I went to use it the following month (After their “45-day guarantee”) and there was a $0 balance on it. I reached out to the company letting them know of the issue and they finally responded 3 days later…with a response that said there’s nothing we can do. DO NOT BUY FROM THEM!!! I already disputed this charge from back in July because they are a bunch of SCAMMERS! I have bought and sold at Cardflip. They are slow at paying out, basically you have to wait for them to sell the card before you get paid, so I have found it’s better to sell them smaller dollar amount cards. ($5 -$50) If you sell them $100 plus cards, you will wait a long time to get paid. I LOVE buying cards for JASON’S DELI from Cardflip. This is something that my family couldn’t normally afford, but 20% off gift cards make it possible for us to go on Sundays. 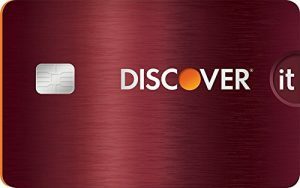 The company claims to buy and sell gift cards for cash. I sold the company two gift cards and was promised $61 for the both of them. I’ve only received payment for one card instead of the TWO cards that I submitted. I only received a $15 payment. The company claims there is a 3-5 business day process for your first sale. It has been 3 weeks now. After they sent the $15 payment all of my emails regarding my payment have been ignored as well as the fact that they also took the funds from the cards I sold to them therefore I am unable to sell the card for cash to another company. 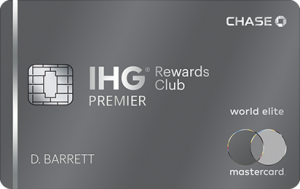 I purchased thousands of dollars in Marriott gift cards from CardFlip. Some of the cards were invalid. Kayla wouldn’t even put Heather the manager on the phone. 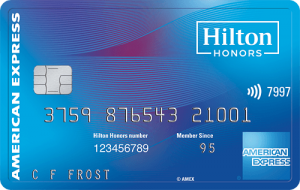 “We’re not doing refunds on Marriott cards, you’ll need to dispute it with your bank.” Then she hung up on me. This was inside of the 45 days of purchase guarantee. WORST CUSTOMER SERVICE.PUTS YOU ON HOLD AND WALKS AWAY. TOLD AT A MEETING. ECARDS DO NOT WORK AND YOU HAVE TO FIGHT TO GET REFUND. PUT IN DISPUTE WITH CARD COMPANY TO STOP PURCHASE. 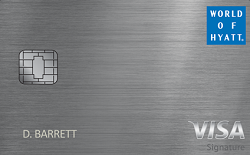 Bought an electronic card. Original owner already registered it, so the retailer wouldn’t let me use it. CardFlip responded by telling me to print the info and bring it to a store. I don’t have a printer. I bought an electronic gift card specifically to avoid having to print anything and/or physically travel anywhere. And besides that, it’d be an additional waste of my time just to have the retailer give me the same answer. I asked CardFlip to remedy their failure to complete the transaction with the original owner, or replace the card value owed by issuing me a new card, or give me a refund. They refused to do anything. I had to dispute the transaction with my bank to get a refund. I used CardFlip a dozen times previously and was happy with the cost savings, reliability and speed of service … until this. Saving a dollar or two isn’t worth the inevitable aggravation when you need help, but get none. Just use another gift card vendor. CardFlip doesn’t care about your business. Unacceptable, this horrible service has been beyond an inconvenience. Lack of effort to provide services promised and no updates, no responses and no answers by their team just reflects an incompetent customer service. This literally feels like theft. SCAM!!!!! I sold a gift card to this company and never received my check in the mail after two weeks. I reached out to them and they emailed back saying they “just issued me an e-check.” I checked my inbox and my junk mail and never received anything. I emailed 4 more times saying that I didn’t receive anything. No response. I called and was looped around on their automated phone system that just rang and rang and then kept you on hold and then told you to leave a message only to loop you around to the main menu. This isn’t a real company. Do not upload your credit card info. Do not input your bank data. Do not interact with this company whatsoever. You’d be better off giving you gift card to a friend or throwing them away. SCAMMERS! I bought a $50 Applebees card that was good when I received it and worthless when I tried to use it. Their phone system is circuitous and never takes you to a human. One email response that they were working on it. I am out $45. Scammers and Thieves. they owe me $80 for sold gift cards. I reported them to the AG of Arizona and i would urge others to do so . They are fraudulent and thieves. They dont reply to emails and keep you on hold. This company needs to be held accountable for their shady and deceiving business practice. Thieves is how i would sum them up. this is thel ink i used to report them. I have nought $250 Sephora gift card and it came up with zero balance. I called many times and no answer and I have emailed them many times and no replies. Today they just answered my call. They start investigating and they told me that when they called Sephora, they told them that this is not even a card. Now instead of blaming themselves and the seller who sold them this gift card, they blamed me because what they are using as risk factor is saying that I’m as a buyer is a risk factor and they need to do more search on me not the seller who sold this fake gift card. The one who told me that I’m a high risk factor is the owner of the website and he was unrespectful and hang up on me. I sold a large (over $500) giftcard to them and it said would receive ACH payment in 3-5 business days yet 8 business days later I can’t get a hold of a real person, can’t leave a message even though their message says they’re putting you into voicemail and I’ve sent numerous emails with no response. Like everyone above I feel like I’ve been robbed. I’m out almost $400 that I need. If my giftcard wasn’t already $0 balance I’d sell it somewhere else that’s legitimate. Makes me sick. I have filed a complaint with the AZ Attorney General. DO NOT purchase from Cardflip! I purchased two gift cards and neither worked. The first didn’t work when inputting the number into Ticket Master and Cardflip reimbursed me most of that gift card amount. The second ended up being stolen. Ticket Master reimbursed the person who had their gift card stolen and then charged me the amount of the gift card. Upon speaking with Cardflip, they told me the purchase was outside of the 45 day window, thus I could not be reimbursed. Chang, the customer service representative, stated the manager was in a meeting, then hung up on me. Terrible service. Terrible company. I bought gift cards from this site and after 2 months of waiting for them to arrive in the mail I realized that they were e-gift cards. The cards that worked were a huge pain because they were easy to misplace and the manager had to come over to get them to go through, since they needed to be hand entered. I bought many gift cards (about 13) on this site at once since I had successfully used many other sites for discount gift card purchases I will never buy from CardFlip again. Apparently, there is only a 45 day guarantee on their gift cards. I realized about 2 months after buying the gift cards that 3 of my $20 gift cards has a balance of $0 and others didn’t have what I had expected to be on them. I have never had this issue with any other gift card web site. I would have thought that in 2 months such a large portion of the gift cards wouldn’t be empty or have less than I expected on them. When I e-mailed them it took days to respond. I am out $60+ and I don’t want to risk that again.